The rising popularity of video games has seen a recent push towards the application of serious games to medical education and training. With their ability to engage players/learners for a specific purpose, serious games provide an opportunity to acquire cognitive and technical surgical skills outside the operating room thereby optimizing operating room exposure with live patients. However, before the application of serious games for surgical education and training becomes more widespread, there are a number of open questions and issues that must be addressed including the relationship between fidelity, multi-modal cue interaction, immersion, and knowledge transfer and retention. 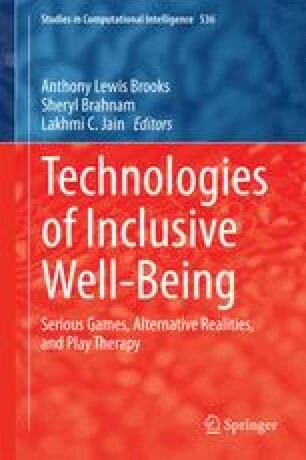 In this chapter we begin with a brief overview of alternative medical/surgical educational methods, followed by a discussion of serious games and their application to surgical education, fidelity, multi-modal cue interaction and their role within a virtual simulations/serious games. The chapter ends with a description of the serious games surgical cognitive education and training framework (SCETF) and concluding remarks. The financial support of the Social Sciences and Humanities Research Council of Canada (SSHRC), in support of the iMMERSE project, and the Canadian Network of Centres of Excellence (NCE) in support of the Graphics, Animation, and New Media (GRAND) initiative is gratefully acknowledged.